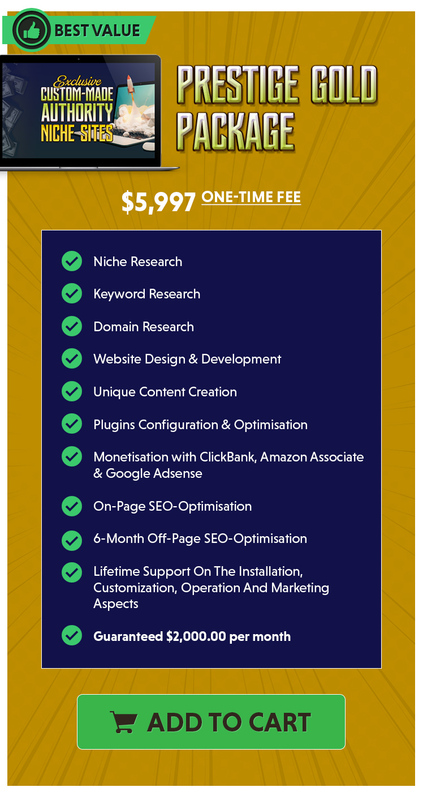 Warrior Forum - The #1 Digital Marketing Forum & Marketplace - Designer: 100% Automated Custom Authority Niche Websites - Guaranteed To Make Money Online Or Money Back! 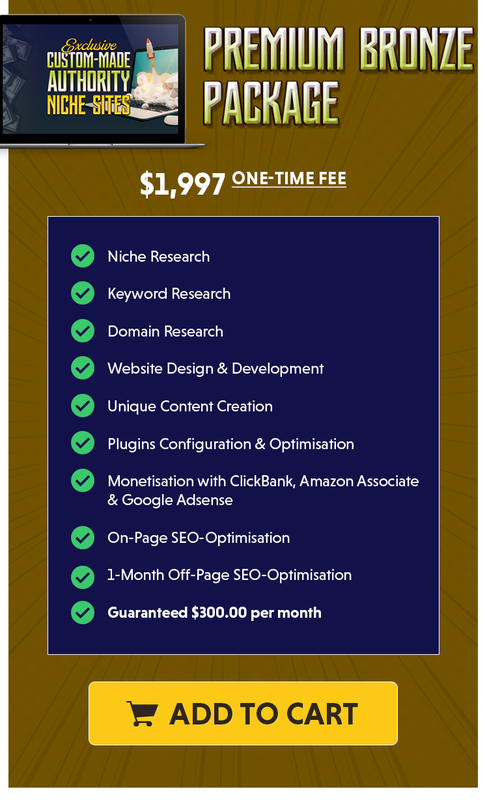 100% Automated Custom Authority Niche Websites - Guaranteed To Make Money Online Or Money Back! Re: 100% Automated Custom Authority Niche Websites - Guaranteed To Make Money Online Or Money Back! If You Are A Newbie In This Internet Marketing Business, This Is Your Only Best Chance To Strike It Big! Wondering how you can make money using the Internet? Contrary to some people who think that that Internet is only for blogging and social networking, there are countless ways in which you can profit from using the Internet as your business platform. Internet marketing has become such a highly profitable trend that many businesses are now taking their products online. Knowing how to make money on the Net can help you gain additional income (sometimes even passive income), and as such, it is important that you know the different ways in which the Internet can work for you. One good way to make money using the Internet is through affiliate marketing. How does this work? This is simply selling another’s product as an affiliate and earning a certain commission for it. If you want to learn how to make money from your website, this can be a good way to start as the process is quite simple. However, this takes a lot of promotional efforts on your part as you will have to do your best to promote the products you are selling online. This is where networking skills will help you get to where you need to be. Another way to make money using the Internet is through Pay Per Click (PPC) advertising. This works in a very simple way. If you own a blog on a popular and public blogging platform such as Blogger, you will have the option to advertise entry-relevant products for each of your blog entries through platforms such as Google Ads. For every person that clicks on the product from your website, you will gain passive income. This is a relatively easy way to make money as you will not need to do much apart from setting up your account. However, to make a lot of money from PPC, you will heavily rely on page hits and views to raise clickthrough rates. One of the most effective ways of knowing how to make money on the Net is by learning the art of article marketing. This is simply the act of creating relevant, fresh, and unique written content targeted at your primary audience for the purpose of creating a sale or a click-through. Your articles can be published on e-zines and other journals and article submission directories, enabling more people to view the article and learn more about your product. These are just some of the ways on how to earn money from your website. You can use a combination of each or just stick to one method if you prefer; at the end of the day, the choice is really up to you. 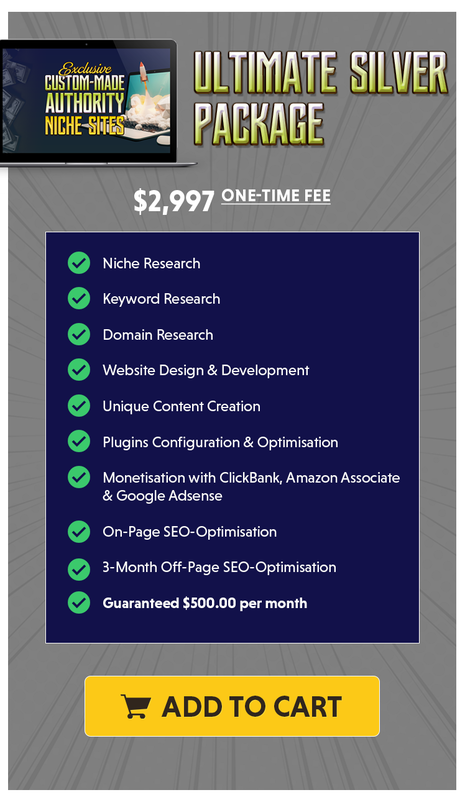 But learning how to make money from your website involves a lot of trial-and-error methods in order to find the perfect marketing mix that will give you maximum results, exposure and profits. Accepting new orders. Please order now to secure your spots. Let's get started! I would like to learn more about this opportunity. Will appreciate some more info. That was very helpful. Can you sent more details of the sites? I am interested. Can you please send me sample sites. This would be cool if it wasn't for the outdated 2009 website design. We're in 2019 bro, update the website layout & design. Time to step into the future. I am really very interested this to make money. Please send me sample sites. Maybe this is solution to what I could achieve through my recent interest i.e. mountain biking and a lot of friends I have in it. Good marketing with proper niche and for starters network of friends could send me in the right direction. Could you send me some site samples keeping in mind my interest ( healthy way of living, mountain biking). What a perfect website. I just love it. I just want to get sample sites. It is really awesome and it's very exciting. Interesting I would love to learn more. May you kindly send me some sites to begin with. I'm excited to have some sample sites!!! hello, can you send some sample websites? I have PM you with samples and details. Thanks!